The shortlist for the 2018 NewsBrands Ireland Journalism Awards, which are sponsored by the National Lottery, has been published. The overall winners are chosen by an independent judging panel, presided over by Chairman of the judging panel, Jerry Kennelly. All shortlisted nominees progress to the awards event which takes place in Dublin’s Mansion House on Thursday, November 15, where the category winners will be announced. The highlight of the awards ceremony is expected to be the announcement of the Journalist of the Year, which last year went to the Irish Daily Mail’s Catherine Fegan. According to NewsBrands Ireland Chairman Vincent Crowley: “The standard of this year’s shortlist is once again first class and a testament to the quality and diversity of Irish journalism. Our ongoing ‘Journalism Matters’ campaign highlights the importance of public interest journalism and the invaluable role it plays in a healthy democracy and so too, the annual Journalism Awards further demonstrate the journalistic excellence which is consistently produced by our member publishers. “I’d like to congratulate all of those shortlisted and wish them well on awards night”, he adds. 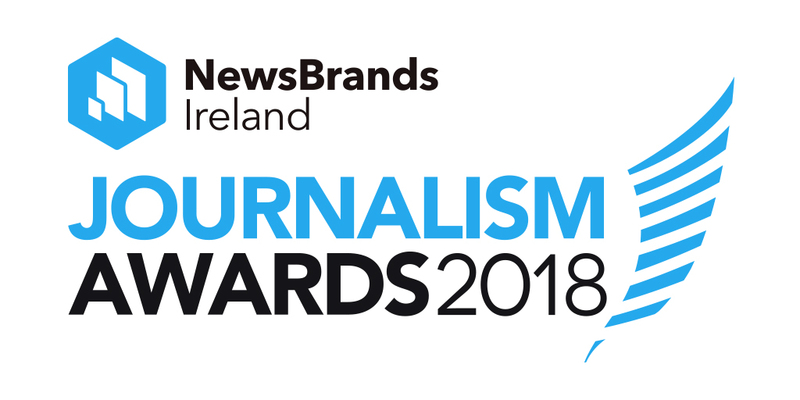 The 2018 NewsBrands Ireland Journalism Awards take place on Thursday, 15 November at the Mansion House, Dublin.